Just like grandpa used. 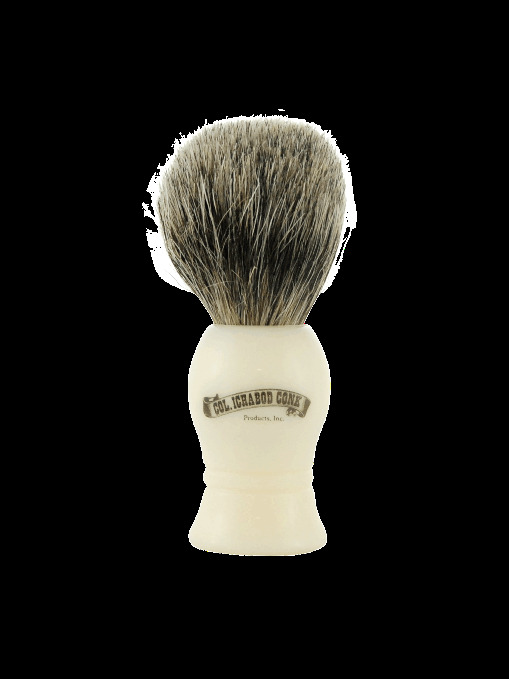 Faux ivory handle with pure dark badger hair bristles. Great beginners brush.